What is the Simatai Great Wall of China? Originally built along the steep ridge at the beginning of the Ming Dynasty (1368 - 1644), Great Wall of China (Simatai) is located around 120 kilometers northeast of Beijing. ​Steep, dangerous, and unique, the Great Wall of China (Simatai) is divided into the west section and the east section by Simatai Reservoir. The east section of Great Wall of China (Simatai) offers 16 watchtowers and the west one has 18 watchtowers. So far, only 10 watchtowers are open to the public in the east section, that is to say, No. 1 to No. 10 watchtowers in the east section are open to the public. With 2 holes, 3 holes, 4 holes, the watchtowers are two-storeyed and three storeyed with different shapes, such as circle, flat shape, and the like. The highest point of the Great Wall of China (Simatai) is the Fairy Tower. Visitors need to climb the ladder to the tower. With a slope of 85 degrees, the ladder is as high as 100 meters. To climb the tower, you need to have enough courage. Upon arriving at the tower, you will find that it is worth climbing it. If interested, you also could explore the Great Wall of China (Simatai) in the evening. From February 2014 on, the administration of the Great Wall of China (Simatai) doesn’t sell the ticket for the Great Wall of China (Simatai) but sell the combo ticket for the Great Wall of China (Simatai) and the Gubei Water Town. If visitors would like to explore the Great Wall of China (Simatai), they should buy the combo ticket. If you are planning to visit Great Wall of China (Simatai) for photography purposes, the best time to visit is in the evening by its closed time. The best months to visit are from March to June and from September to November. There is no direct bus to Great Wall of China (Simatai) from downtown Beijing. Therefore, there are only a few options. Please book the ticket one day prior to the visit date at least at the official website (http://www.wtown.com/index.php/Yuyue/great_wall_reservation) with your passports details. The hours for booking the ticket are 09:30 - 10:00, 11:30 - 12:00 and 13:30 - 14:00. During every entrance, only 1,200 visitors are allowed to enter the scenic area for safety of the visitors. Visitors can enter the scenic area at 10:00, 12:00 and 14:00. At any other time, visitors are not allowed to enter it. Great Wall of China (Simatai) is very steep that please take care of yourself when climbing it. 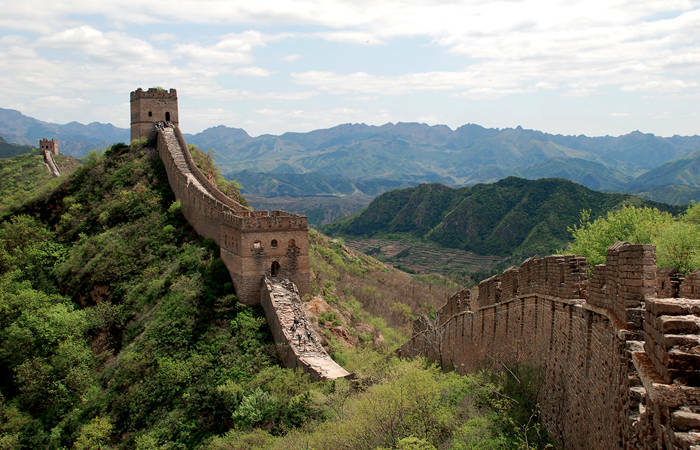 Interested in visiting the Simatai Great Wall of China on a Tour? Wendy Wei Tours offers a variety of different packaged tours as well as custom tours including the Simatai Great Wall of China, among other attractions and destinations. To find out more, please visit our Tours page or Contact Us directly to find out more.